G-BASE stream sediment and soil geochemistry data is now released – click on the G-BASE for south west England web page for further information and access to data. Maps for selected chemical elements can be viewed on the Tellus South West Map Viewer. 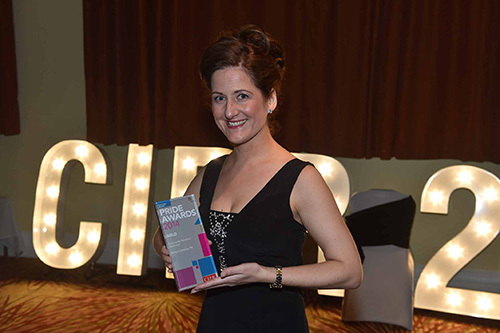 The Tellus South West communications project has been awarded gold at the CIPR PRide Northern Ireland Awards which took place at the Culloden Hotel in Belfast on 17 October 2014. 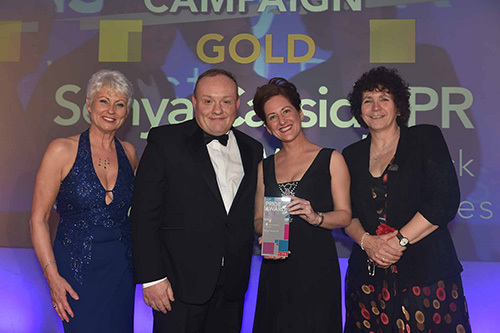 The project scooped a gold award in the community relations category and was shortlisted as a finalist in the public sector category. Congratulations to everyone involved! We held a conference at the Eden Project in Cornwall on 31 October 2013 to tell researchers and potential collaborators more about our progress with the Tellus South West project. Please look out for more information about our upcoming Tellus South West data launch and stakeholder liaison events. Why are we doing this survey? When and where are we surveying? About the Tellus South West Project. Video of the 2008 Isle of Wight airborne geophysical survey. This site is hosted by the British Geological Survey. Questions, suggestions or comments regarding the contents of this site should be directed to BGS enquiries.